After all the hype surrounding Pak John Steamboat & Yong Tao Foo, I decided I had to give it a shot myself. 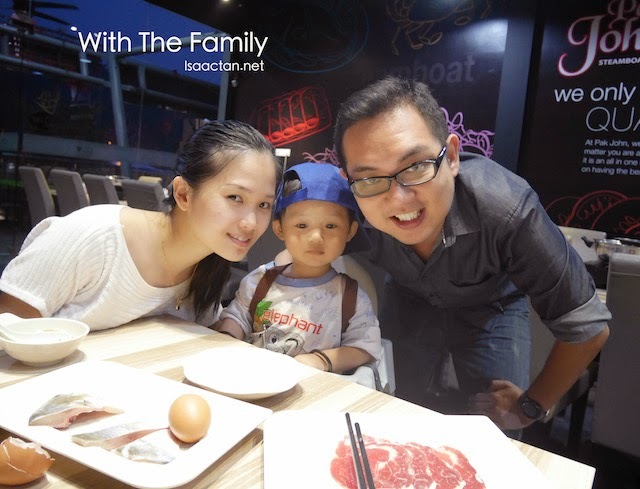 It was a weekend, so off I went with the family to try them out over at the Wangsa Walk branch. Wangsa Walk is just a stone's throw away from my home, so it did not take much effort to dine there. Their tagline: 'We only serve quality & fresh' food. 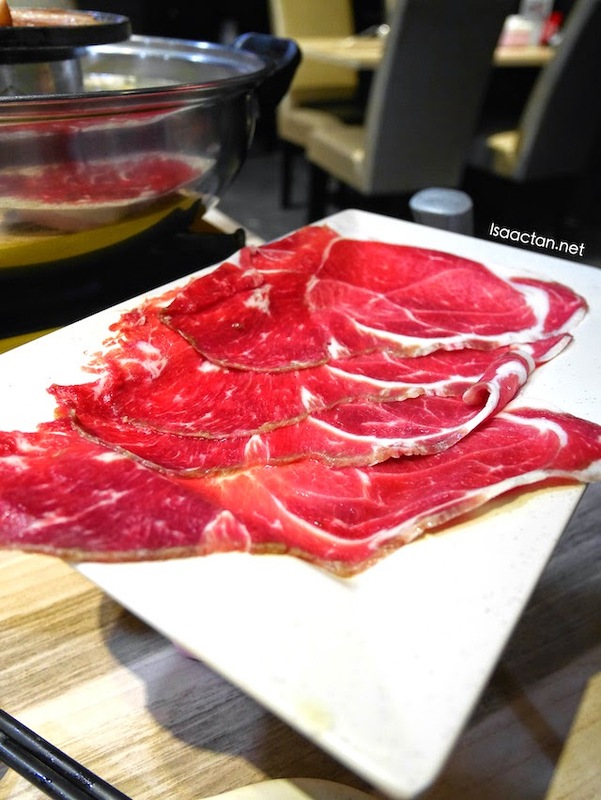 Arriving at Wangsa Walk Mall, Pak John Steamboat & BBQ was located at a rather strategic spot where the other eateries are at. I've always liked restaurants in Wangsa Walk, as they are mostly very comfortable and pleasant, with nice air conditioned environment. Not unlike the rest, Pak John had a comfy ambiance as well, where we took our place at the 1st floor of the restaurant. 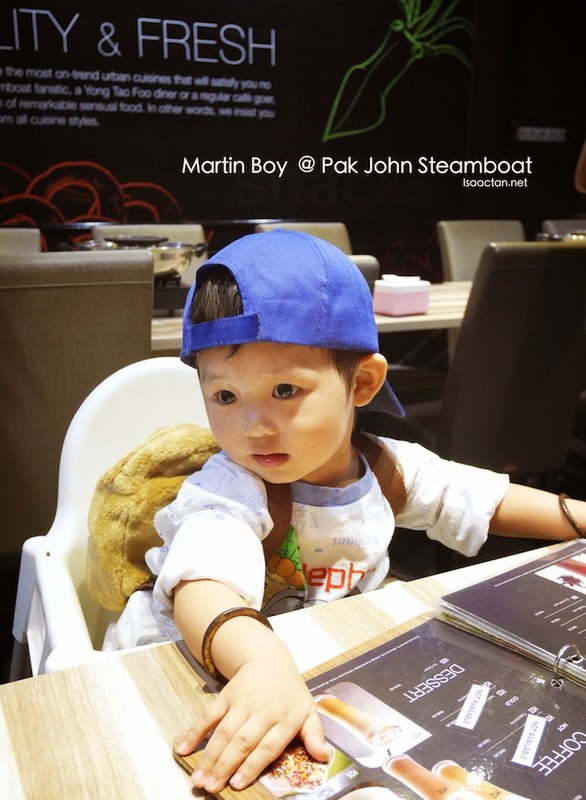 Off the menu, Pak John Steamboat had a variety of meat, fish, and veggie to choose from. As there were four of us that evening, we went ahead to try out their Premium Set menu prepared for 3-4 persons. At RM99.90 per set, it wasn't exactly the cheapest in town, but I did notice they have a long string of food items on the list. Anyway check out some of the yummy stuff I had that evening below. Some of the items off the Premium Set which we ordered. Just for your information their Premium set consists of the items below, which I felt was pretty worth it considering that they are charging RM99.90 for the whole set. I've taken the liberty to list down what is included in the set. We had a choice of a couple of soups, where I chose the clear type. I don't usually go for heavy tasting soup, as I always believe a steamboat soup should be clear, with the taste coming from its ingredients. 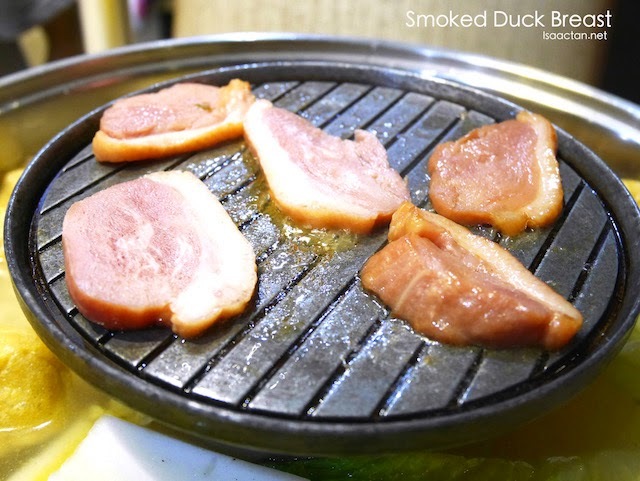 At Pak John Steamboat & Yong Tao Foo, every table has a hot pot with dual function of steamboat, and a hot plate on the top to barbecue your favourite meat. A dallop of butter is given to cook your own meat. A special mention is in order for their Smoked Duck Breast, my favourite meat for the night. Sliced in small chunky bits, it was indeed a flavourful affair. I just love how the oily bits gave the whole dish a nice smell and taste. 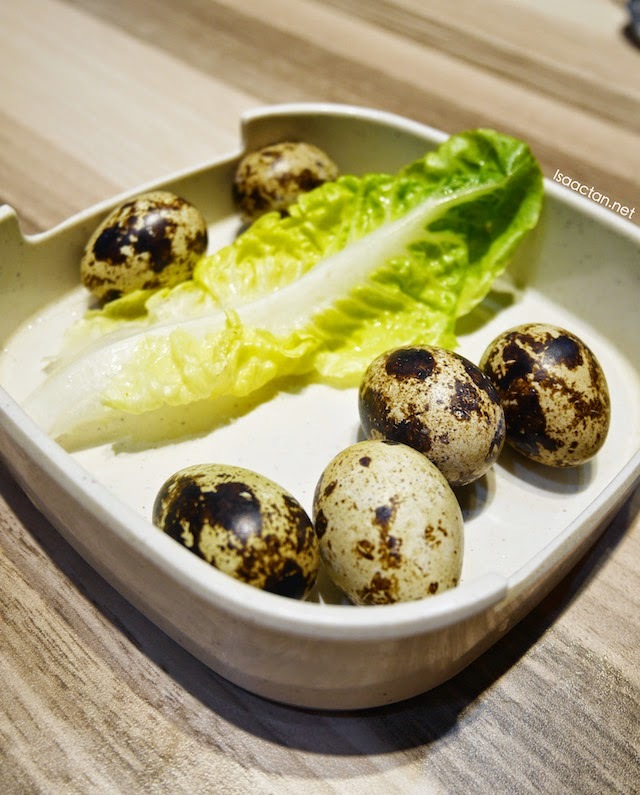 The smoked part definitely helped to increase its flavour and texture. Good stuff here. On to the rest below. They do have a healthy choice of seafood, one which Janice enjoyed. 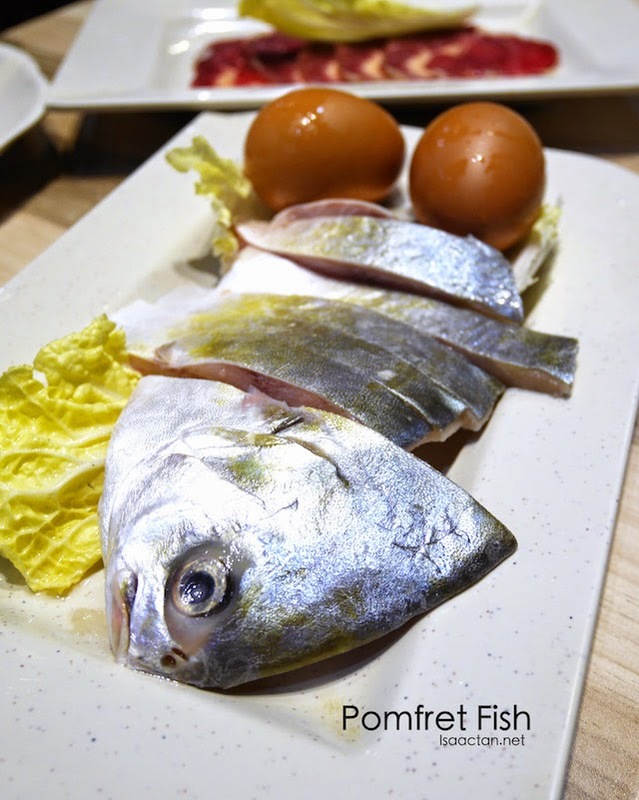 It was a tad disappointing though as their pomfret fish wasn't too fresh that night, emitting a rather strange taste and smell. We got it promptly replaced. 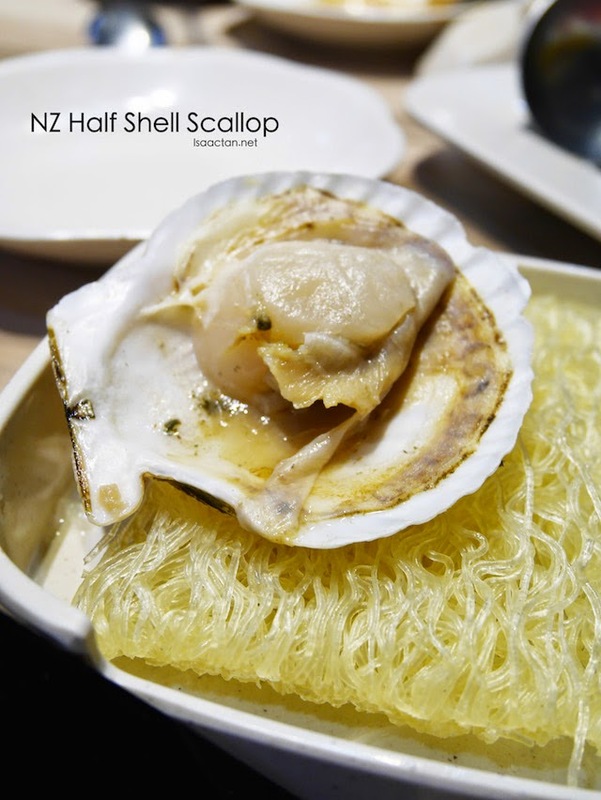 The rest were fine, especially good were the prawns, Japanese baby scallop, NZ Half Shell Scallop, fish dumplings and many more. 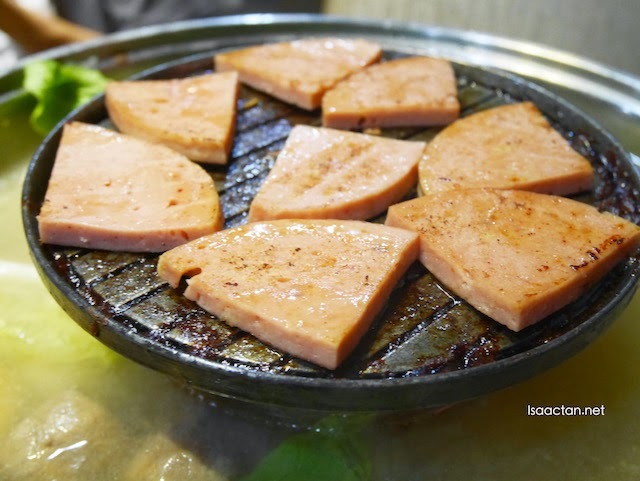 I'm more of a meat person, so lets move to the other meaty dishes. The chicken luncheon meat and New Zealand beef slice came looking real pretty. 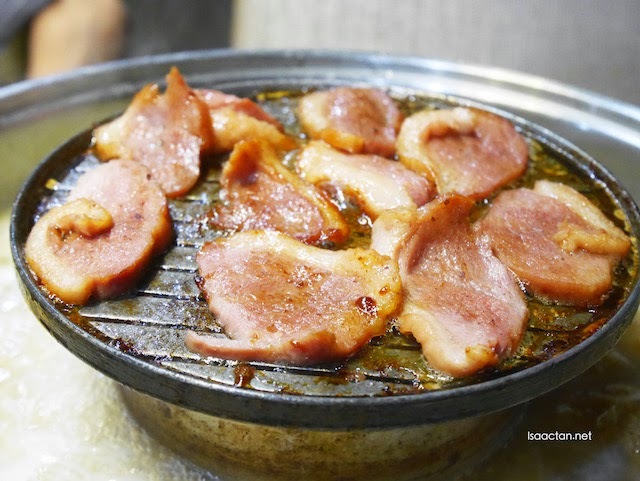 Cook it yourself and be prepared to smell all that yummy fatty flavours. Pak John Steamboat is a halal restaurant, hence no pork is served, one which I did not mind at all, as they have really good chicken, and beef. 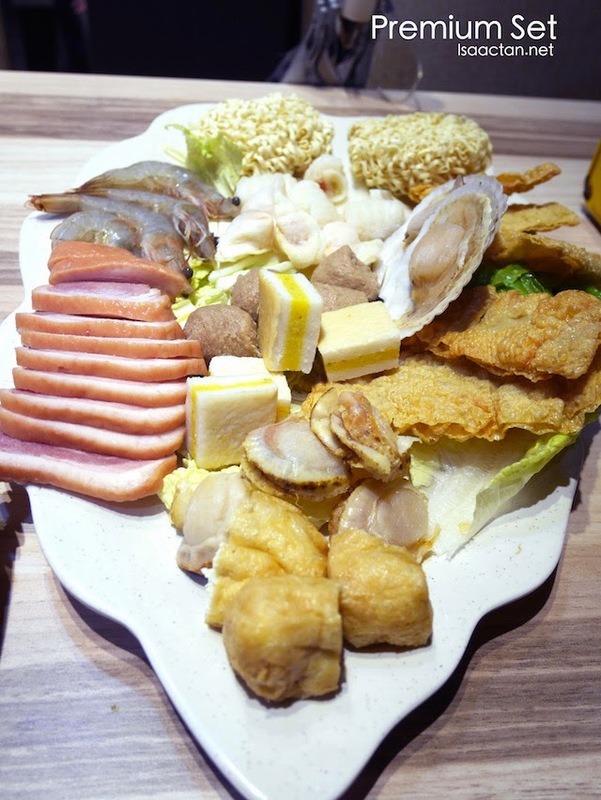 Overall, it was a rather nice meal out at Pak John Steamboat & Yong Tao Foo Restaurant. 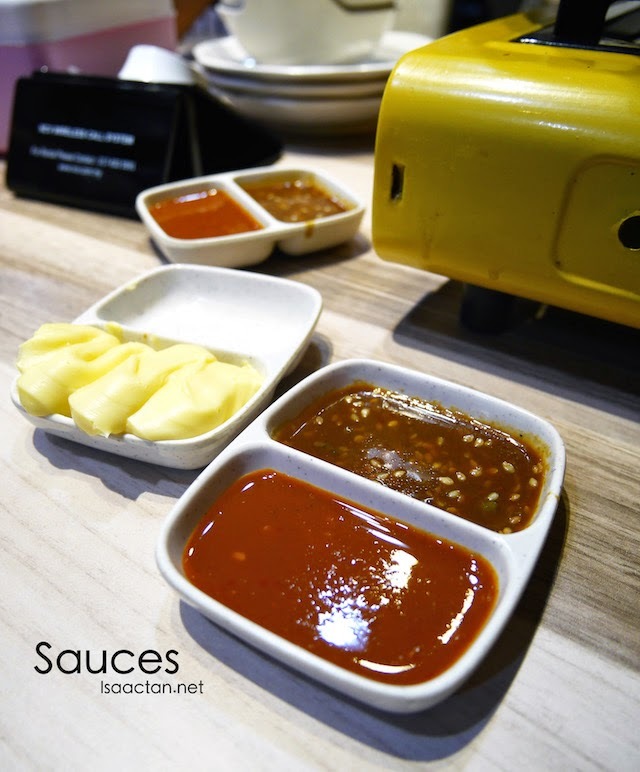 Its location inside Wangsa Walk Mall meant it's really convenient for families to drop in for a meal after shopping. 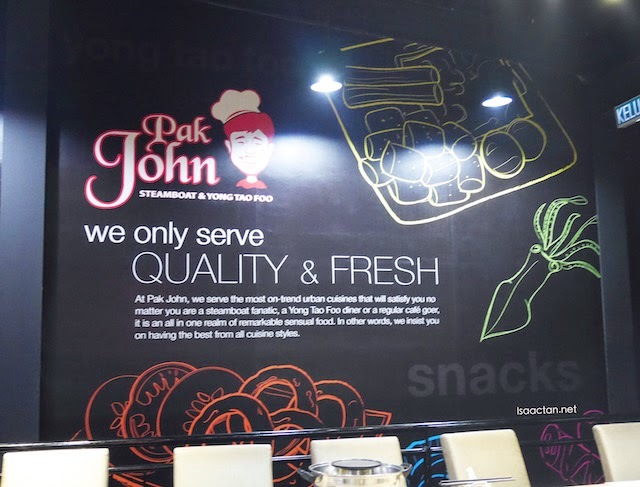 Good soup, good ambiance, good meat, great location, and a pretty reasonable price, do try out Pak John Steamboat the next time you're in the vicinity of Wangsa Maju. Oh their other branch is at eCurve, so do drop by there too!